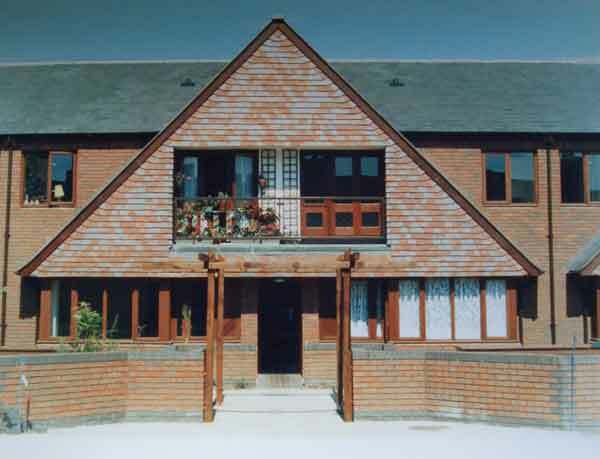 The design brief was 40 flats for elderly people, a communal centre, and warden's house. We were given a whole street of Victorian terraced houses! We promptly knocked them down (they were awful) and moved the building line to the rear of the site so the flats could face south over communal gardens. (That took some persuasion with the planners). 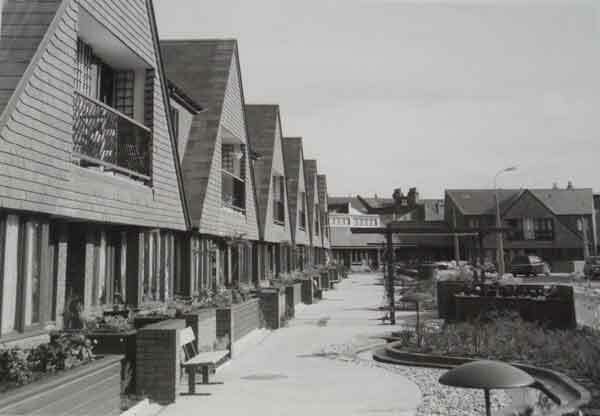 Instead of a uniform line of anonymous flats, we created 10 'cottages'. with a strong roof shape to identify them, and to give a sense of human scale and identity. Each cottage contains 4 flats. The first floor flats all have balconies, which have now become veritable hanging gardens. The completed project was described as a 'masterpiece' by Sir Ian Gow, the Minister for Housing, who performed the opening.